March 28, 1930: “The Gumm Sisters” (Judy and her two sisters) performed for the Knights of Pythius, which is assumed to have taken place in their hometown of Lancaster, California. March 28, 1938: Judy wrote a letter to MGM Studios boss L.B. Mayer’s personal assistant, Ida Koverman, apologizing for taking so long to write her and for how she had gone from a weeklong rest in New York City to the tour promoting Everybody Sing. 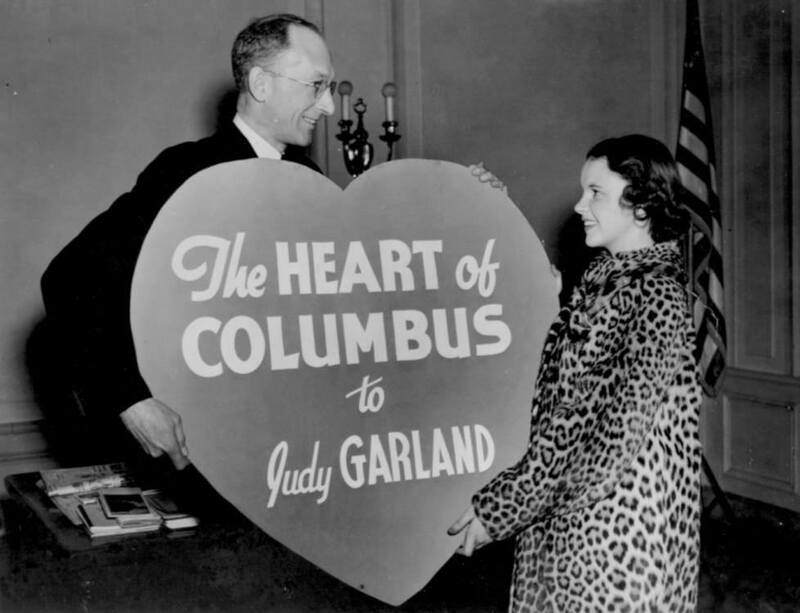 Judy said that Manhattan “was as wonderful, as exciting, and as glamorous as ever” and concluded by sending love to Ida and Mayer, from herself, her mother, and Roger Edens (both were accompanying Judy on her tour). Koverman was an early champion of Judy’s at the studio and was one of the persons largely responsible for Judy’s first contract with the studio. 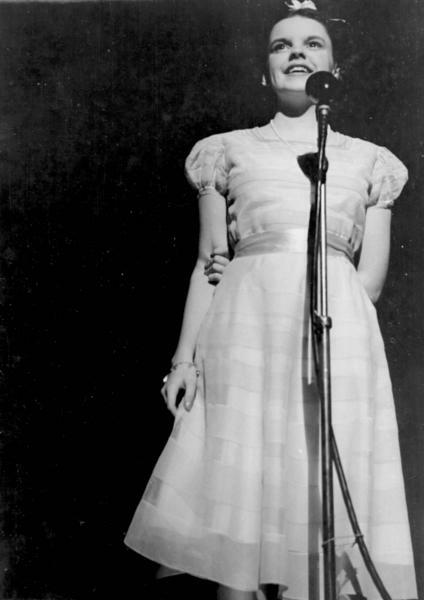 Photo: Judy’s first appearance on a New York stage, at Loew’s State, resulting in the first time her name appeared in lights in New York. 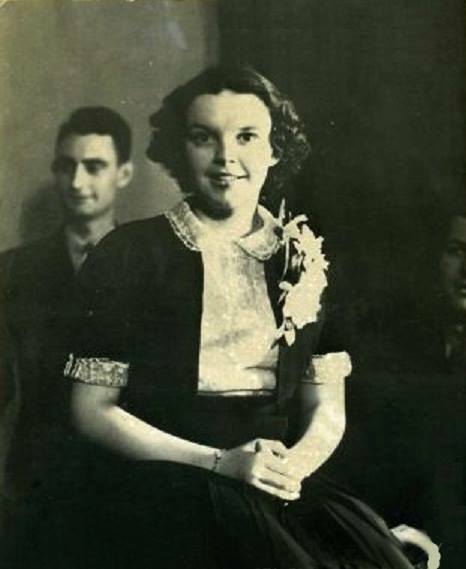 March 28, 1938: “Life” Magazine published photos from Judy’s recent trip to Colombus, Ohio, which was part of her Everybody Sing tour. 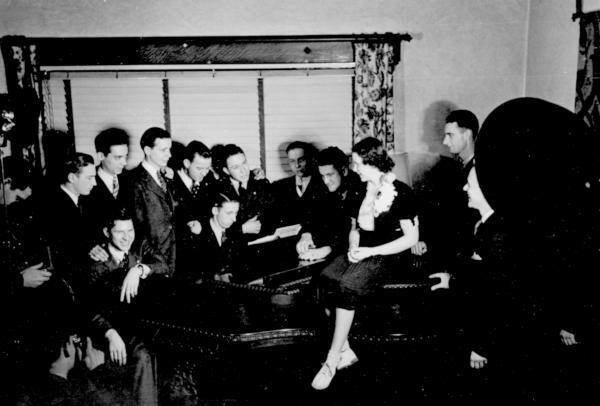 The focus of the “Life Goes To A Party” section was Judy being named “The Sweetheart of Sigma Chi” by the Alpha Gamma Chapter of the Sigma Chi Fraternity at Ohio State University. 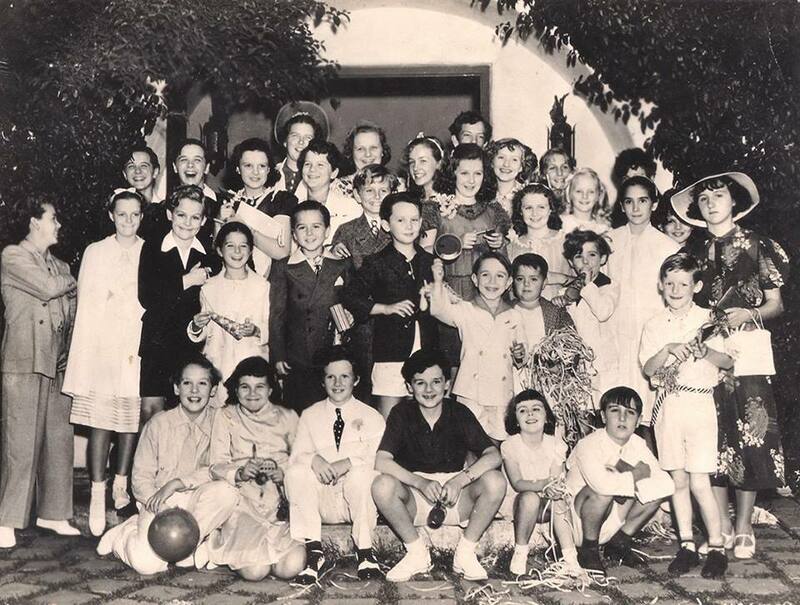 March 28, 1938: This photo of Judy and others at Freddie Bartholomew’s birthday party is given this date although we know that Judy was still on her Everybody Sing tour, in fact on this day Judy and her mother arrived in Minneapolis, Minnesota, spending the night there before going up to Grand Rapids (Judy’s birthplace) the following day. Judy didn’t return to MGM until April 4th. Freddie’s birthday was indeed March 28th so this photo might have been taken in 1937 rather than in 1938 or the party was on an earlier date. He certainly looks more like the “older” Freddie. 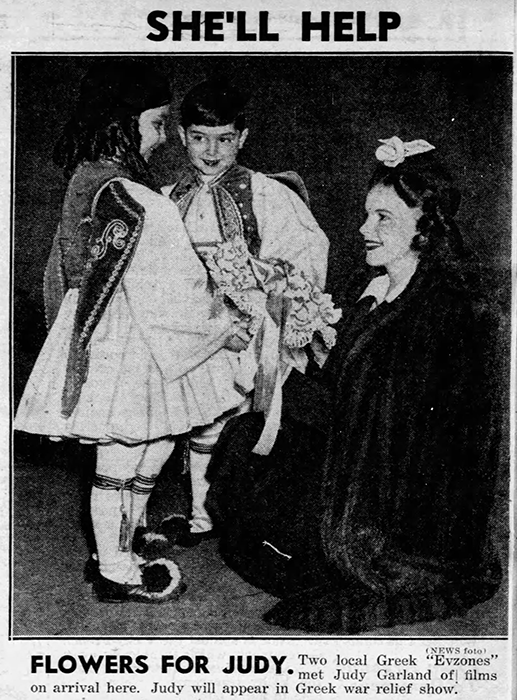 March 28, 1941: Judy took part in the Greek War Relief events at the Radio City Music Hall in New York City. No recordings or other information about the show is known although it is known that fundraisers for the Greek War Relief took place around the country throughout the weekend. 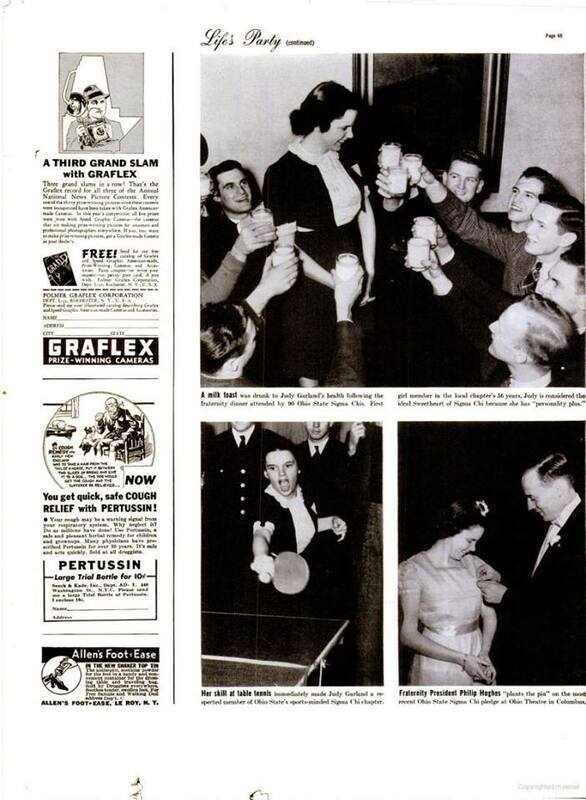 March 28, 1943: Here is a photo story that told the plot of Judy’s latest film, Presenting Lily Mars. 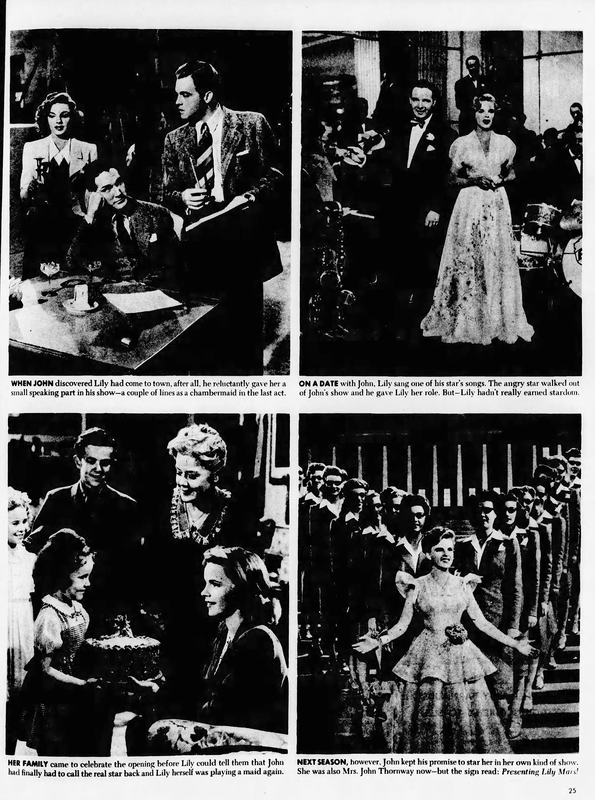 Note the use of a photo from the deleted original finale number, “Paging Mr. Greenback” as the end of the article. Eagle-eyed fans probably wondered what happened to the number shown in the story when they saw the film. 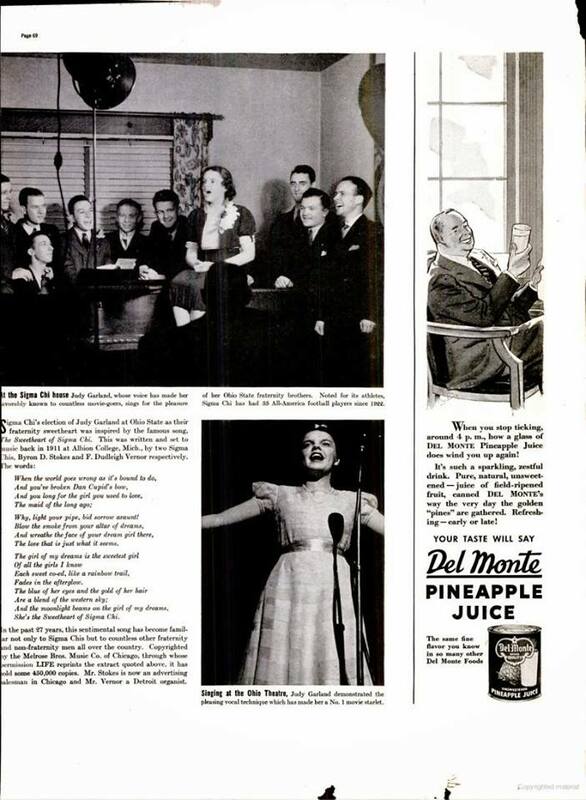 Also on this day (evening), Judy sang “The Wings Of Freedom (There’ll Never Be Another England)” on the “Free World Theater” radio show on NBC Radio. Kenny Baker and The King’s Men also performed. Ronald Coleman was the master of ceremonies. No recording of the show is known to exist. Check out The Judy Room’s Expensive Spotlight on Presenting Lily Mars here. 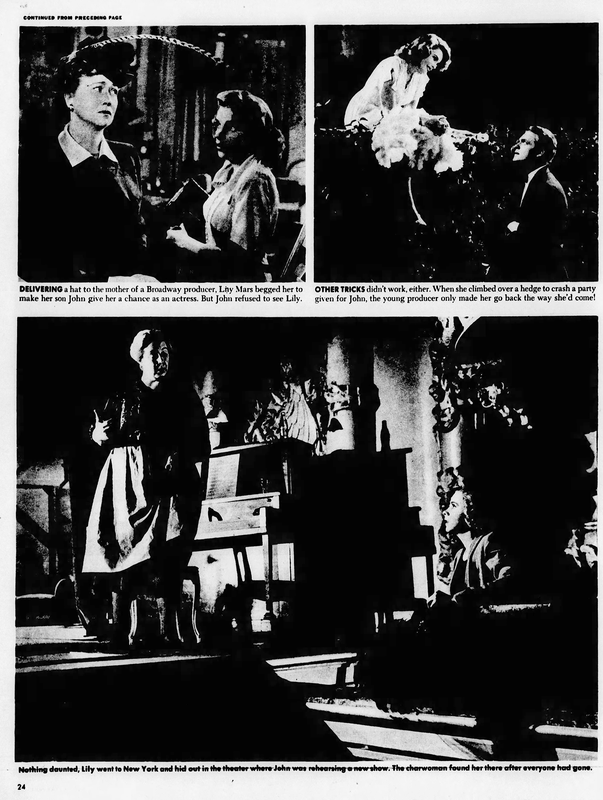 March 28, 1944: Meet Me In St Louis filming continued with scenes shot on the “Interior Dining Room” and “Exterior Halloween” sets. 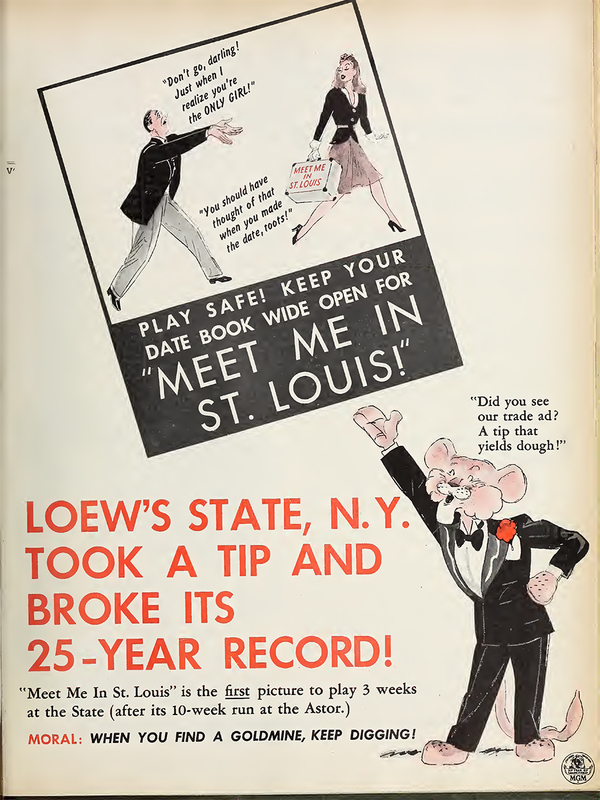 Time called: 10 a.m.; Judy arrived, but was not ready, at 10:15 a.m.; dismissed: 4:35 p.m.
March 28, 1945: This ad promoting the huge success of Meet Me In St. Louis was published in the “Film Daily” trade magazine. This day was also the first of two during which Judy was ill and did not work on The Harvey Girls. On the 28th she arrived but went home sick, staying home on the next day but returning on the 30th. 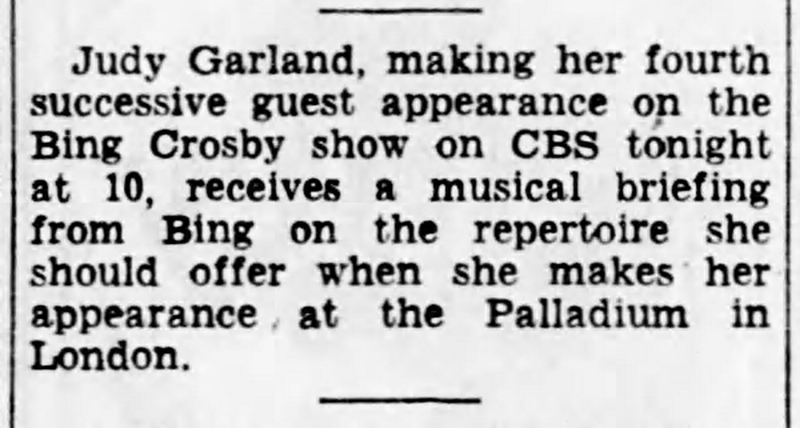 March 28, 1947: This Daily Music Report for The Pirate shows that the day’s recording session was devoted to more of Gene Kelly’s solo and dance, “Nina” (Kelly pre-recorded the first part of the number on March 19, 1947). 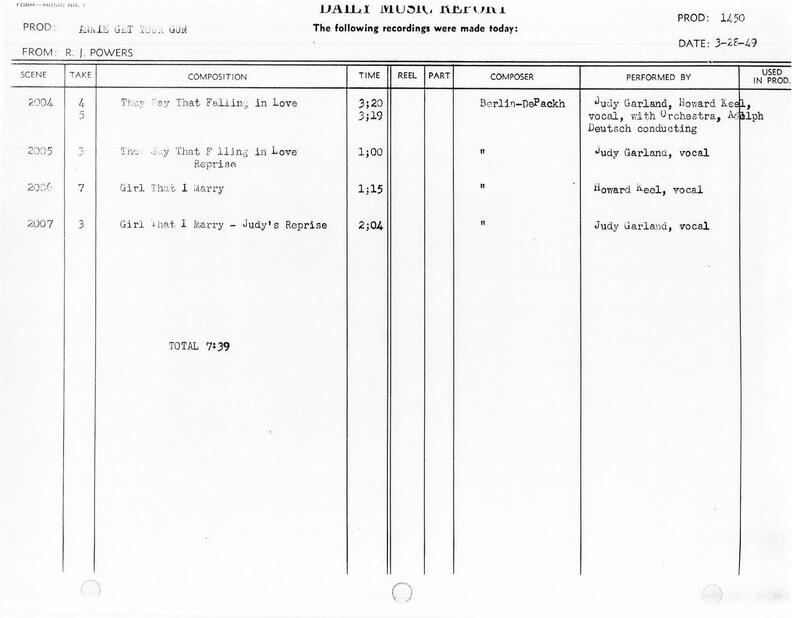 However, Judy is listed as one of the performers for the revised Part 2 of the song, along with a misspelled “Kelley.” It’s possible that Judy might have originally been a part of the end of the number. In the final film, Judy and Kelly’s characters first meet in the scene after this song and dance but perhaps it was originally planned to have them meet at the end of the number? Or this could be a mistake by the person who typed up the report. The only known recording from this day that has survived is “Scene No. 2021” which is “Nina” Part 1 (Bar 1 to 139) and nothing that may have included a quick vocal by Judy. 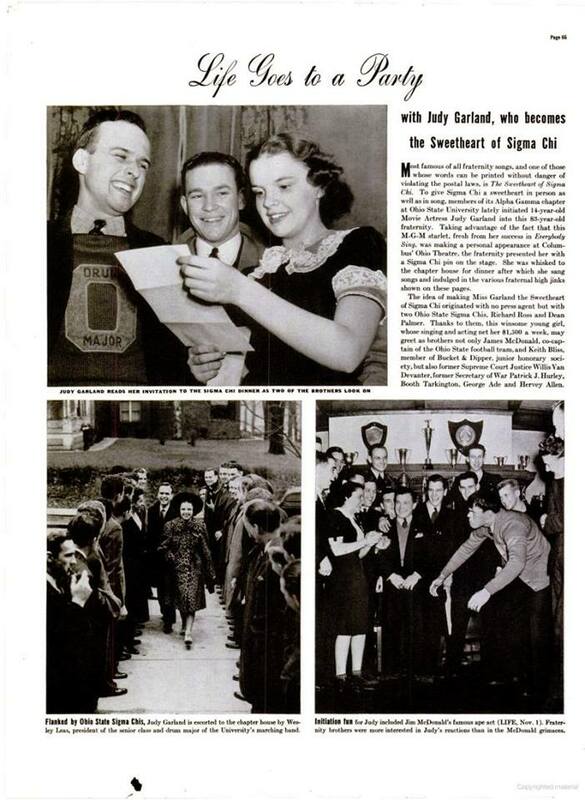 According to Scott Schechter’s book “Judy Garland – The Day-By-Day Chronicle of a Legend,” this day included an “Orchestrate ‘Voodoo'” music session. 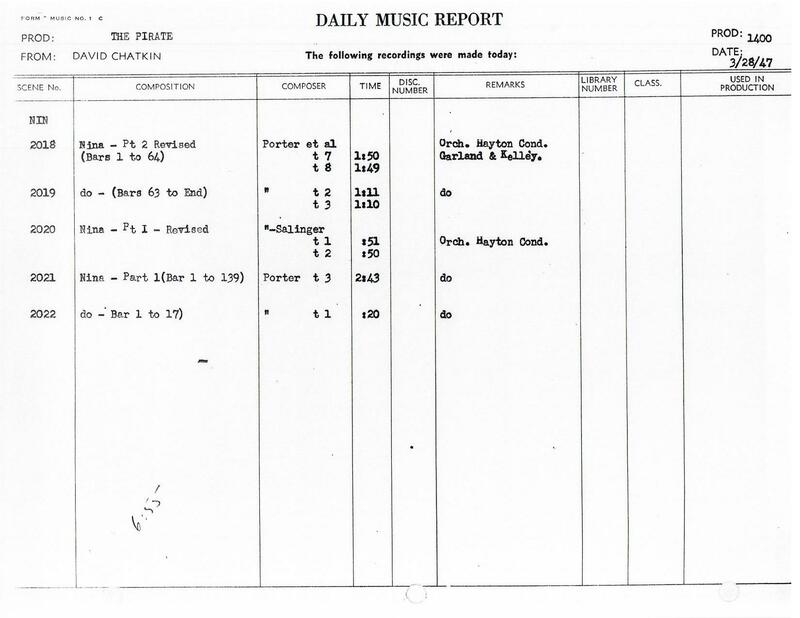 Judy had a 10:00 a.m. call; she arrived at 11:25 a..; dismissed: 1:25 p.m. “Voodoo” wasn’t pre-recorded until April 10th so this is most likely an error in information between the Daily Music Report and studio memos that chronicled Judy’s every move. Note that the first half of the number is in stereo, which really brings out the lovely Conrad Salinger orchestrations. March 28, 1948: This edition of Feg Murray’s “Seein’ Stars” featured a mention of Easter Parade along with this great drawing of Fred Astaire. Although there’s no image of Judy and she’s barely mentioned, it’s included here because of the film and it’s a fun image. March 28, 1949: Recording session for Annie Get Your Gun. Judy and co-star Howard Keel pre-recorded “They Say It’s Wonderful” (the duet and Judy’s reprise) and Judy pre-recorded her reprise of Keel’s “The Girl That I Marry” after he pre-recorded his solo version. 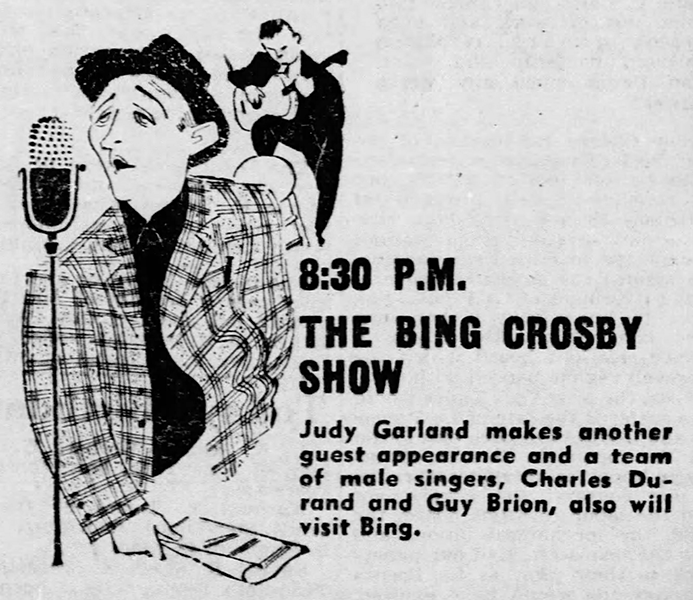 Judy arrived at 1:30 p.m. and was dismissed at 3:15 p.m.
March 28, 1951: Louella Parsons reported on a recent party at which Judy sang. Imagine being one of the lucky party guests who got to see that or one of the many other parties that Judy so generously shared her gifts at. Incredible! 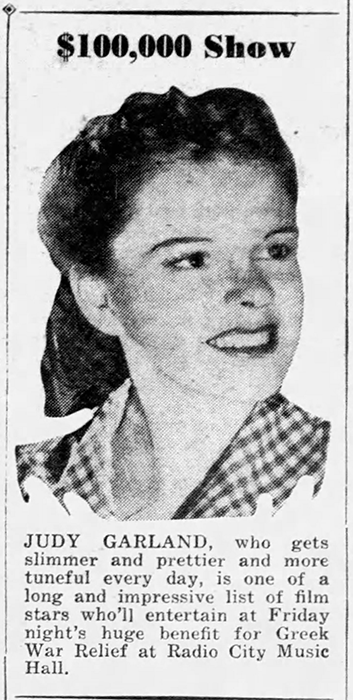 March 28, 1955: Judy experienced premature labor and was rushed to the Cedars of Lebanon Hospital in Los Angeles, California. 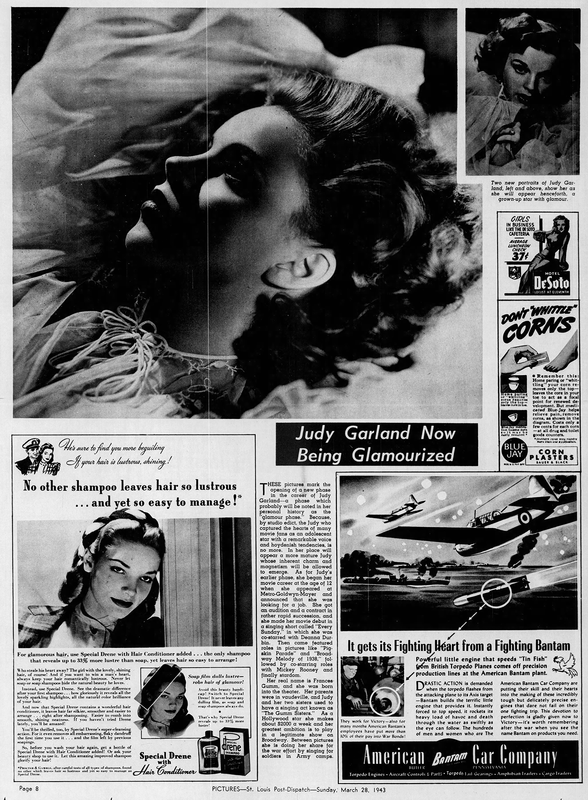 March 28, 1959: Columnist Vernon Scott details Judy’s upcoming debut at New York’s Metropolitan Opera House. 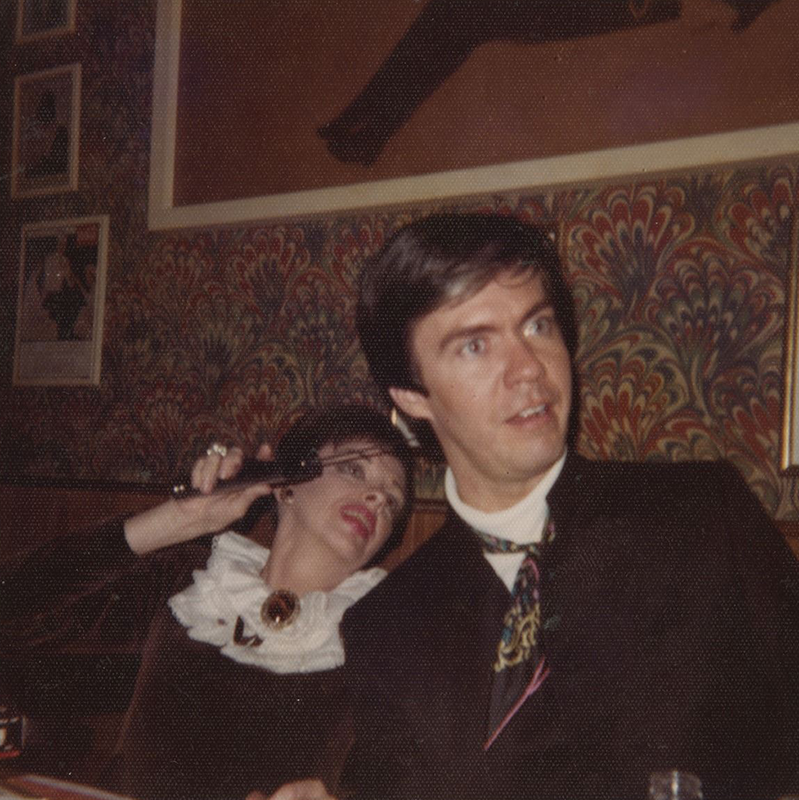 It was the first engagement of Judy’s “Opera House Tour.” She was the first pop singer to appear at the Met. 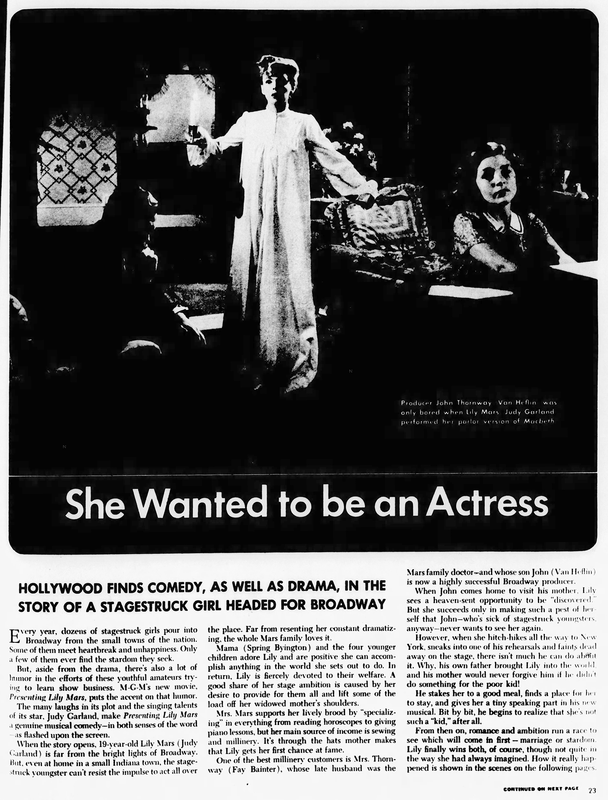 She was, of course, a smash hit when she opened on May 11, 1959. 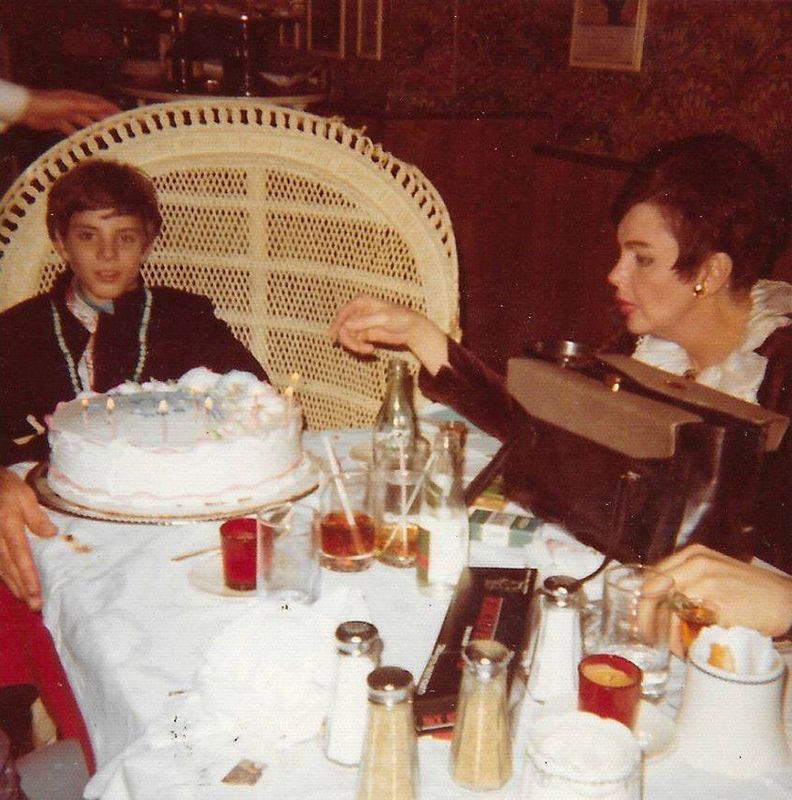 March 28, 1968: These photos were taken of Judy and Tom Green celebrating Judy’s song Joey’s 13th birthday. 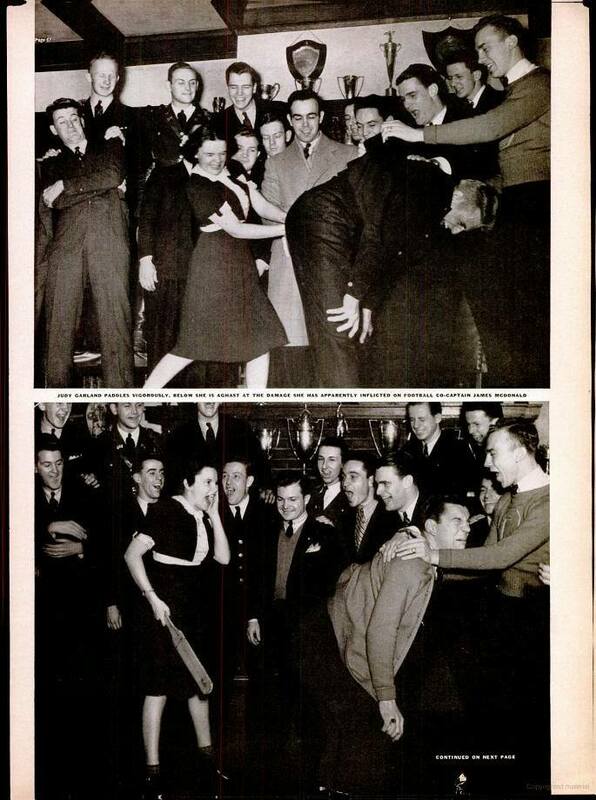 That’s Joey with Judy in the second photo. 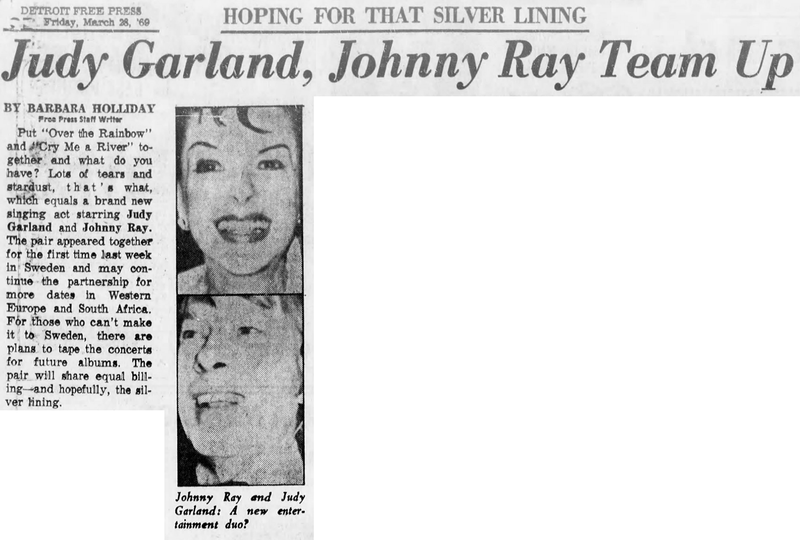 March 28, 1969: Judy and Johnnie Ray teamed up.